This focaccia is worthy of making twice, three times, over and over again. It’s light, not moist, but soft with a lightly crisp crust. The grapes stay juicy without making the bread soggy, and I just can’t get enough of their flavor. I wanted to put more on, but my dad liked that they were spread out because it made each one more special. The loaf is also very delicious with blue cheese. 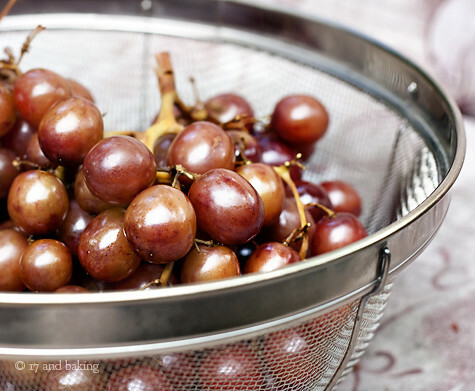 Wash and dry grapes thoroughly and place in an all metal strainer or smoker suitable container. I used our BBQ that has an interesting feature. The flame shield over the burner can be inverted and it becomes a cup, shaped to hold the wood for smoking. If your BBQ does not have a smoker attachment for wood then put the wood chips in aluminum foil directly over the burner. Place the wood over the HIGH flame and keep the BBQ open so it does not get too hot, we are trying to smoke the grapes not cook them. 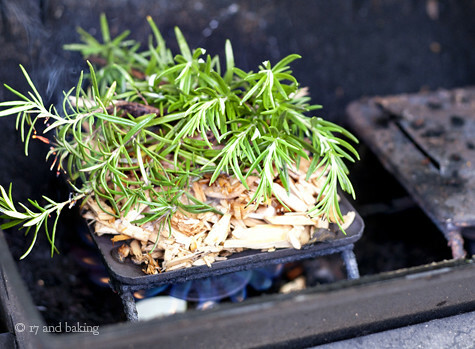 When the wood begins to smoke, add the rosemary sprigs and reduce the heat to as low as possible. Place the grapes in the strainer on the opposite end of the BBQ and close the BBQ lid and leave it closed until the wood no longer produces smoke (the wood should all be consumed). Remove the grapes from the BBQ immediately. Stir together the yeast, water, and 4 cups flour in the bowl of an electric mixer and let stand 5-10 minutes. Add the 1 1/2 teaspoons salt and 1/4 cup olive oil and beat with the paddle attachment on medium speed until a dough forms. Add the remaining 1/2 cup flour and switch to the dough hook. Knead dough at high speed for 3-4 minutes, or until soft, smooth, and sticky. Transfer it to a lightly oiled bowl, turning the dough so that it is completely coated with oil. Cover with plastic wrap and let rise in a warm place until doubled in size, 1 to 1 1/2 hours. Gently deflate the dough and press it into a well-oiled 15” by 10” rimmed baking pan [I used a rimmed half sheet. It didn’t reach all the edges, it was fine.] Let dough rise in a warm place, covered with a clean kitchen towel, until doubled in size, about 1 hour. Using your fingertips, make shallow indentations all over the dough. Brush with the rosemary olive oil, letting it pool in the indentations. Press grape halves, cut side down, evenly into the dough. Sprinkle with sea salt. Bake for 6 minutes, then reduce the oven temperature to 475 degrees F. Bake until golden. It’ll depend on the size and thickness of your focaccia, but the total baking time will be around 20-25 minutes. Immediately transfer to a cooling rack and eat at room temperature, or if you can’t resist, piping hot and ripped into hunks. Entry filed under: Breads, Breakfast/Brunch. Tags: bread, brunch, Dad, garden, grapes, herbs, Italian, Mom, olive oil, rosemary, savory, Seattle. I’ve been checking your page three times daily for the past couple of days waiting for you to have a new post. I promise that I have a life, it’s just that a lot of it involves sitting at the computer writing or doing research (for articles! I write for my school’s newspaper!) and your blog is a convenient way to avoid getting work done. Plus reading your posts about experiences that seem freakishly parallel to mine brightens up my entire week. I love the idea of smoking grapes. (I discovered roasted cherry tomatoes this summer and made something similar, except the first time I baked the bread I had to make two batches of tomatoes because I ate the first one.) And I love hearing about your radio experiences. I’ve also fallen head over heels in love with the student newspaper at my school, though I’m beginning to discover some of it’s not so lovely attributes. I definitely spend more time writing and researching and interviewing for the paper than I do studying. Only don’t tell my parents. Or my professors. Glad to hear that you’ve found the select few activities that make the hectic days and sleepless nights worthwhile. Good luck with everything! Sarah, you always make my day! I know time is lagging between posts… each one takes a long time to create and I’ve never been busier. But as long as you keep reading I’ll keep finding time to blog. :) Hope you’re enjoying DC! I remember those crazy first days of college, I also wanted to be a part of everything! I’m glad you found your passion! The no sleep is totally worth it when you enjoy what you’re doing. Those grapes look crazy! I would have never thought to smoke grapes! Great post! Gorgeous looking recipe – It is nearly summer here and I can’t wait to be sitting outside sipping a glass of sauvignon and enjoying this bread. Cheers! Elissa everything sounds so amazing that your doing! It defeintly sounds like college life, I love it! The smoked grapes is such a grand idea can’t wait to try it! My friends in college always said that you can sleep when you’re dead. While this is perfectly true, just remember to take care of yourself so that you stay healthy. I’m glad to hear that you have found a new interest and I’m sure that as you get used to everything it will get easier and even more fun. That bread sounds delicious! I think that I will have to try making some sometime soon. That sounds awesome! In my experience, it’s better to be immersed fully in a few activities than to stretch yourself thin across several. Between the radio station and the job at a bakery, you seem to have found yourself….or at least who you are for now. And while who you are for now may change (or may not….who knows) your life and activities now will definitely shape your future person in some way or another. Congrats on your acceptance to the prestigious radio station! Good luck with that and your baking/cooking!!! Oh. And college coursework, in general. Of course. What an upbeat, smile-provoking post… and a great springboard to finally do something with my out of control rosemary bush. It’s such a delight to catch glimpses of your new life, and keep in touch with stories of your family. Good luck to you in having fun and keeping life’s demands s in balance. congrats on getting into radio and throwing yourself into it like that? how do you even have time to study? Stephanie – I’m not sure how I’m finding time to study. A lot of it is sacrificing sleep (I’m dead on my feet most days) and a lot of it is clever scheduling. Sometimes my radio shift will end and I’ll have 3 minutes to RUN RUN RUN to class, then once the class is over I’ll have a bakery shift in 10 minutes. I find time to eat, nap, and study in those little breaks. This post has reminded me that you are never too old to learn something new and. Thanks for the gentle nudge that I’ve needed this week to remember to always, always take view a new experience as an unexpected opportunity to take away something that can be applied to me as a person, not just my job. 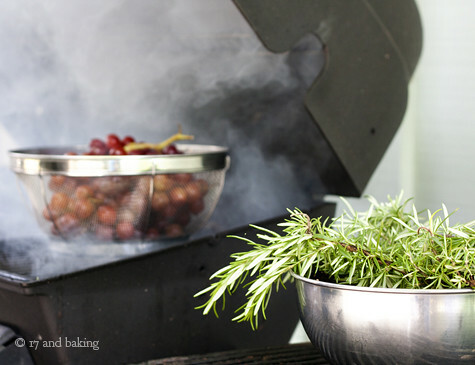 Wow, I love the smoked grapes idea! Here in this part of the world we cook a lot interesting things on the fire, including bread rolls (cooked straight on the grid), and stews or curries, even soup, but I’ve never thought of smoking grapes or tomatoes! I love focaccia. Usually I use premade crust (shame on me), add a bit of olive oil, sprinkle some olives, a bit of fleur de sel and in the oven with it! Wow I must confess I have also been checking and rechecking to see if you have posted again! it really brightens my day. This foccacia is PERFECT for the weather in South Africa at the moment, and perfect for our end of year photojournalism class braai- so excited. It’s really cool you’re getting into radio. I also prefer print but this term we did soundslides- putting audio to our images and man it is time consuming! But the end result is powerful. I’m so excited to try smoke the grapes! such a unique idea! I’m glad you found a few clubs to stick with. Being busy is such a good thing in college. Good luck with the bakery! It sounds like you’ve found some wonderful activities to take part in! Photography, radio, and working at a bakery seem like the perfect trio for you! This bread looks and sounds amazing! I have never tried smoked grapes, but they sounds like something really special! I’m glad you’re being so active! Freshman year is definitely the time to establish yourself before everyone kind of branches off to their own thing the remainder of college. I’m curious what bakery are you working at and how did you apply? I’ve been tempted to apply PT in a bakery but not sure how to without a culinary degree! But it’s inspiring to hear that you have. Jessica – It’s a bakery which also serves as a cafe and restaurant, and I’m not actually working back of the house. I’m a server up front. But I think my internships at restaurants back in Seattle helped strengthen my application, and I’m sure it would help you too even without a culinary degree. Many people who worked at the restaurants back home had never gone to culinary school, they learned through experience. I made a similar focaccia, but yours just looks so much better. Must be the grapes. We grow tons of Concords, and we’re transplanting our Muscat grape vine to a new spot. If we’re lucky we’ll get grapes next year again. I’d love to try those smoked, and if we have enough raw ones, to share. Good luck on student radio!! I happen to be a big fan of focacia. What I’m not a fan of however are radio stations. Don’t take that the wrong way though, I’m happy for you and your accomplishments, and I love the idea of radio; I just can’t really listen to it anymore. There once was a time where I would often use the radio to discover new music. That is, until I realized that all of the stations in my area played twice as many audio-commercials as anything else. So that’s why whenever I am listening to the radio these days I’m probably listening to NPR (which coincidentally I also heard on the way to school every morning). I have to admit, I miss its presence in my schoolday. Well… everything but the pledge drives. Those ruined my mornings. But on second thought they probably deserve my money if their jobs are half as hard as you make them sound. Alex – Sorry to hear that you’re disenchanted with radio. I feel your pain when it comes to ads. But a) yes, it’s really hard work, and b) our station is commercial free! Hooray! This is the sort of savoury bread that I see being sold at farmer’s markets. I love the taste of rosemary with bread; so comforting. I love making bread but I barely do it! This one loks INCREDIBLE! I loved it there and I love your blog! I’ll keep checking back! Mmm bread looks delicious. 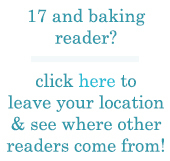 and as another commenter mentioned Flour bakery is awesome and added bonus right around the corner from me. Elissa, this was beautiful. I’m so glad you’re having such fun at school – the radio station sounds fantastic! Keep doing what you’re doing :). This focaccia looks dreamy! I love the smoked grapes idea. I’ll have to keep it in mind next time we’ve got grapes in the house. Wonderful! And I’m glad school is going well. Job in a bakery? Perfect! Glad to hear you’re enjoying college Elissa, the radio station work and journalism sounds so interesting! 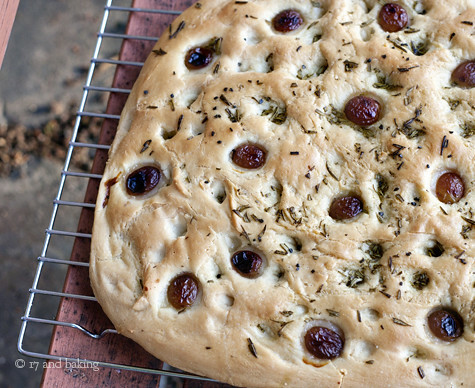 And the focaccia looks wonderful, love the idea of smoking grapes. What an amazing idea to do with grapes. Smoking it sounds so delicious. I am so happy for you that you have discovered yet another passion—Radio! You are such a talented and warm hearted girl—good luck in all your future radio interviews with all your newbie mistakes behind you. Love your writing and your experiences! I love that you are making the most of everything that comes your way – and yes, the bread looks amazing! Your bread looks delicious and your photos are fab! A school in Boston with a famous radio station? I think I’ve figured it out! If I’m right, I listen to that station all the time, I’ll be sure to listen to your voice! By the way, one student foodie to another, be sure to try the Flour Cafe, there are 3 locations in Boston/Cambridge and theier food is to DIE for!!! 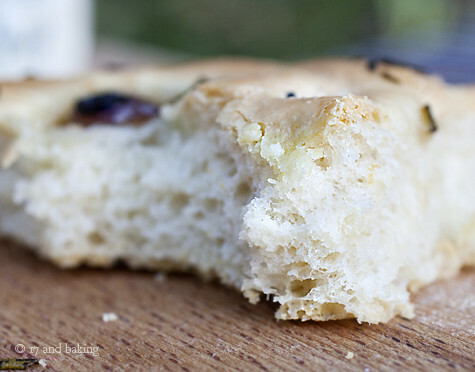 Your focaccia sounds great! My husband does something similar with grapes that I love. He grilles them and serves them on toasted bread with some warm goat cheese that has been rolled in herbs and grilled just a bit. Wow are they good! I really enjoy reading your blog and you sound like you are doing great at college. So I’ve just discovered your blog, and it’s been a long process of reading through all of your posts! You are a kind a caring girl, so I thought that as a college junior (oh god. I’m a junior. It’s truly crazy) I might just pass along some advice. Sometimes, no matter how much you want to fit in and no matter now many people try to prod you into a club so it will look good on your resume, you’ve got to go with what feels right. With clubs it’s hard, but I truly believe that when you feel at home with your group, that’s such a golden moment. We only get to go through college once, so live it up: join what clubs you love, and know when you’re taking on a bit too much (hint: you won’t be sleeping or eating). Just go for it. I feel like I just got to college, and I’m already researching graduate schools while abroad in Europe. Everything flies by, and in the end, I don;t believe in the whole “it looks good on my resume” or “I’m going to fit in” approach. When you are a good person who is passionate and truly cares about others, all will be good! So good luck, and remember- live it up! This really only happens once. I never see you around anymore! Drop by sometime this weekend, or skype me! we totally need to catch up! we never exchanged stories!!! Hi Elissa, I just found this website today and am BLOWN AWAY by your talent. Your photos are beautiful, haven’t tried any recipes yet but I have already bookmarked a dozen or so, and your writing is so sincere and heartfelt. I am really inspired. I read your post about dealing with the good and bad aftermath of gaining more recognition with your blog, and learning to deal with negative nancies (shake ’em off, shake ’em off), and I have to say that I so admire how you just powered through. I am very sensitive to criticism and it’s held me back from some of my passions and I really impressed how you learned so quickly to bounce back—I will try to keep you in mind next time I feel discouraged! Ohh my goodness, this sounds amazing!! I love foccacia but have never had it with grapes before, very creative! I bet it pairs amazingly with the rosemary. 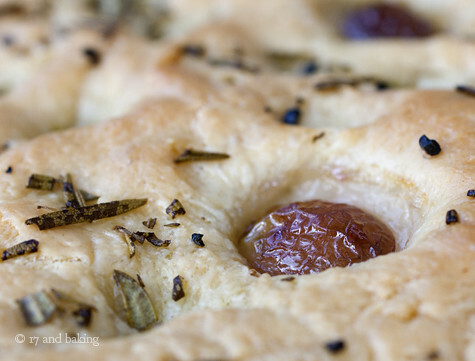 I love the way you have compared the discovery of knowledge and the smoked grape and rosemary focaccia. It’s an interesting comparison. I definitely sympathize with your business, but that makes everything fun, right?